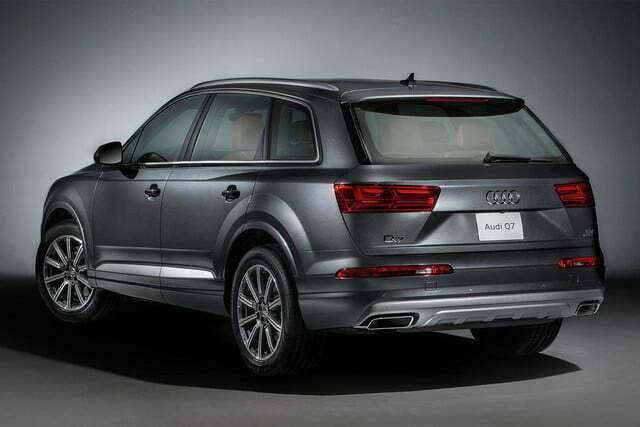 Audi has brought some exciting vehicles to Geneva this year, most of which have been stylish, race-oriented machines that focus on speed. We shouldn’t get too distracted, however, from its more practical offerings, through which the brand still manages to impress. 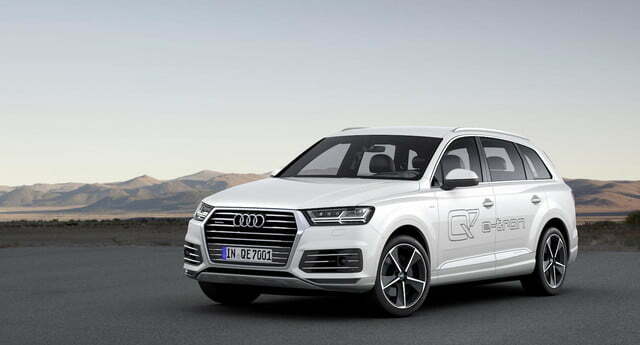 Audi introduces the Q7 e-tron quattro, the world’s first plug-in hybrid with a sic-cylinder diesel engine and permanent all-wheel drive. 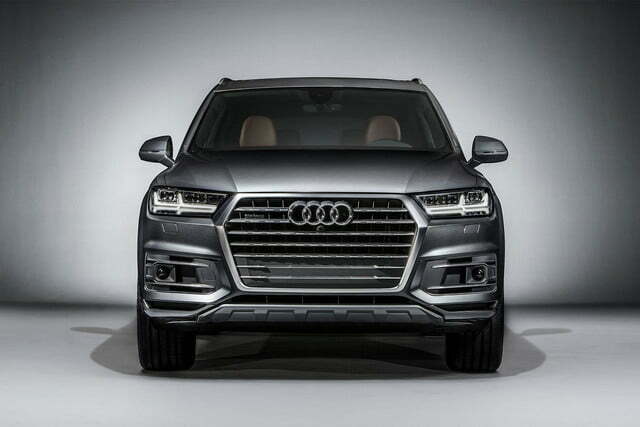 The hybrid system of this Q7 is made up of a 3.0-liter six-cylinder diesel engine that produces 258 horsepower and 442 pound-feet of torque all on its own. 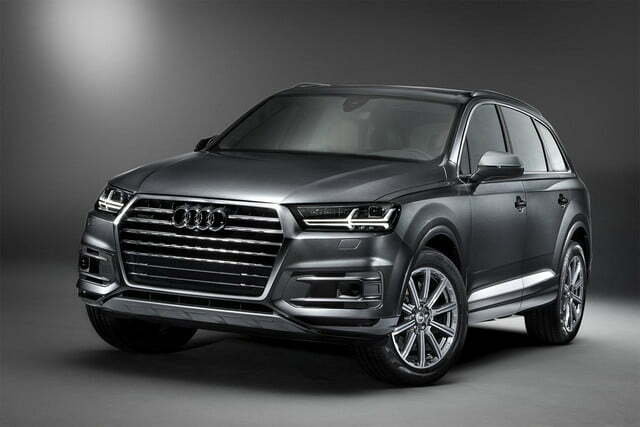 When combined with the electric motor, the power output jumps to 373 hp and 516 pound-feet of torque, giving the sizable SUV the power to spring from 0 to 62 in six seconds flat. 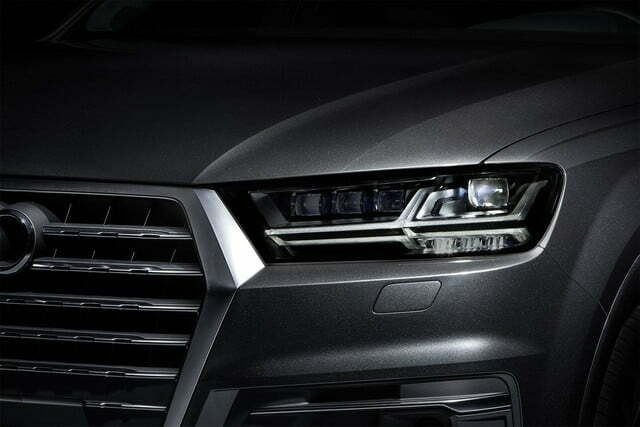 Power is distributed to the wheels via the eight-speed tiptronic transmission. Whats more, all this power comes with a fair bit of savings as well. 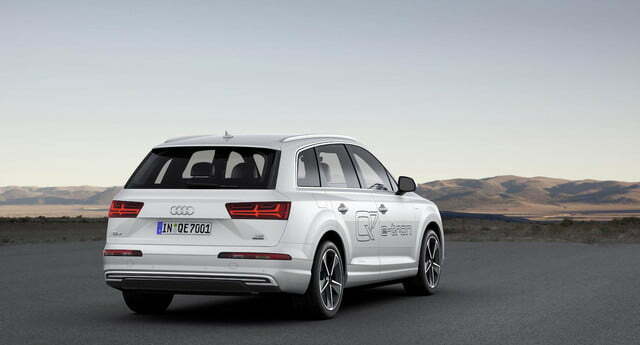 By consuming just 1.7 liters of fuel per 100 kilometers, this is equates to a 138.4 U.S. mpg rating. 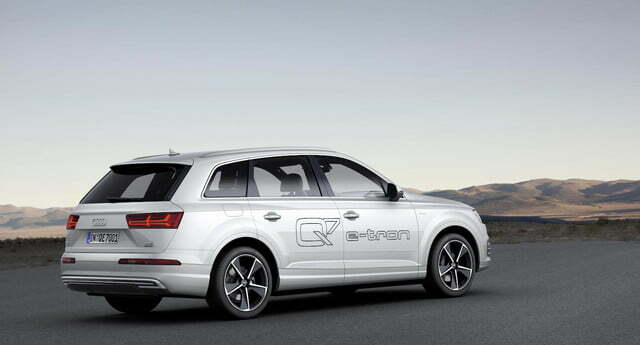 When set to just electric power, the Q7 e-tron has a 34.8 mile range with a fully charged up 17.3 kWh battery. 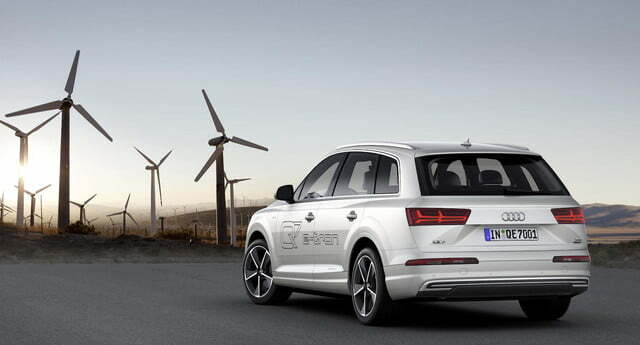 When combined, the Audi can travel uninterrupted for 876.1 miles. 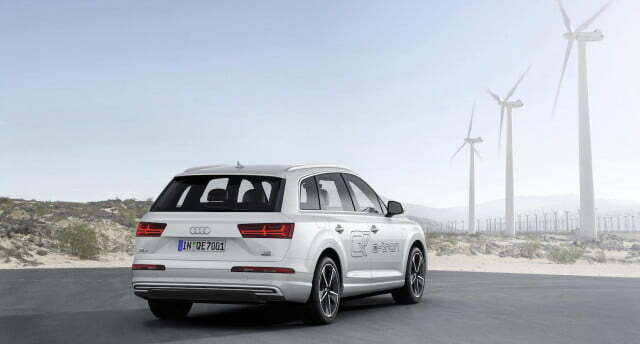 To make driving such long distances as tolerable as possible, the Q7 e-tron quattro sports a new electromechanical power steering system that is highly sensitive to inputs. 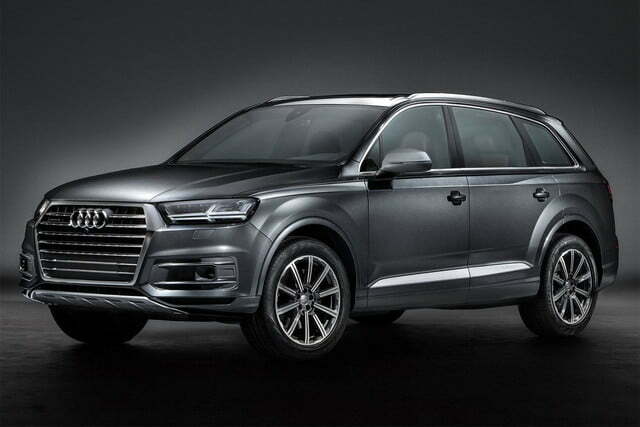 This supports the five-link suspension system the car rides on, which features two redesigned front and rear axles that are 132 pounds lighter than the ones in the previous Q7. 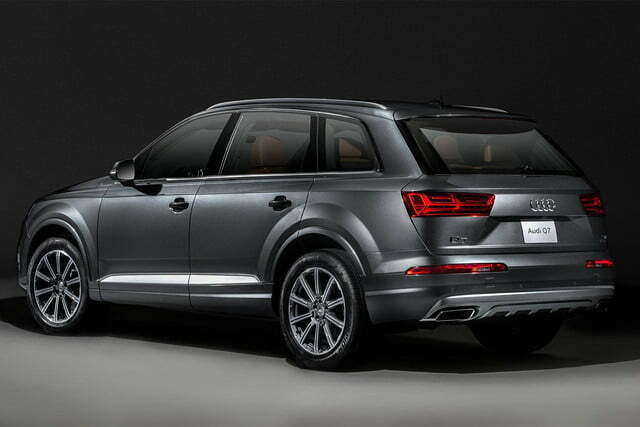 Ride comfort is enhanced by the optional adaptive air suspension with controlled damping. 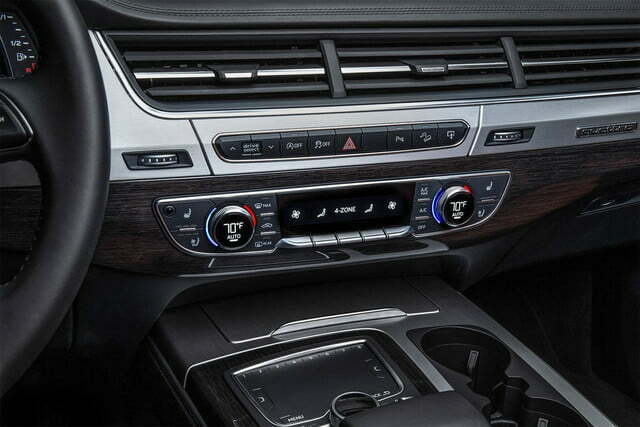 This can be regulated by the driver from the Audi drive select system, and has up to seven modes for adjustment, which also include steering, transmission and engine response. 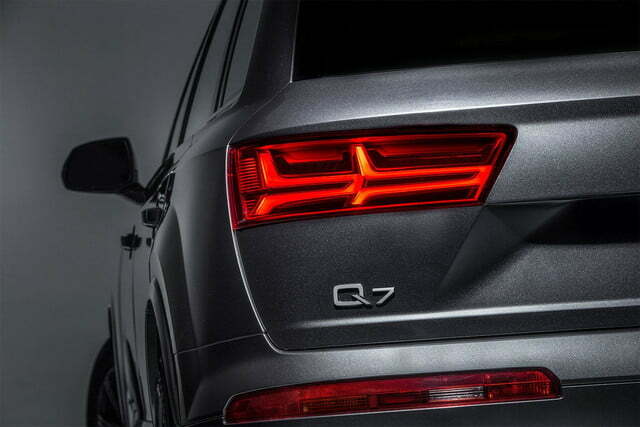 Outside, the Q7 is pretty much from what we’ve seen before. 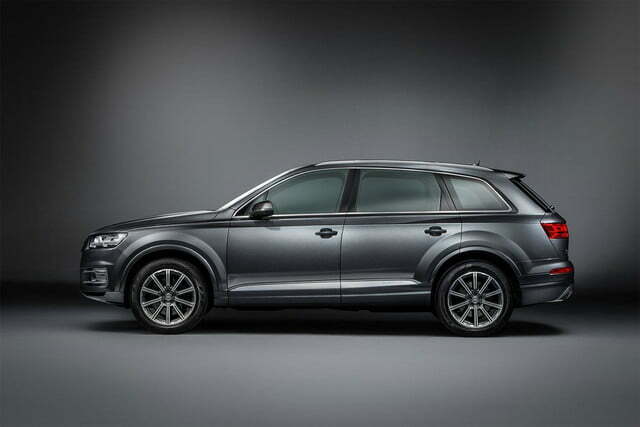 It appears hefty and solid, with an understated, serious presence. 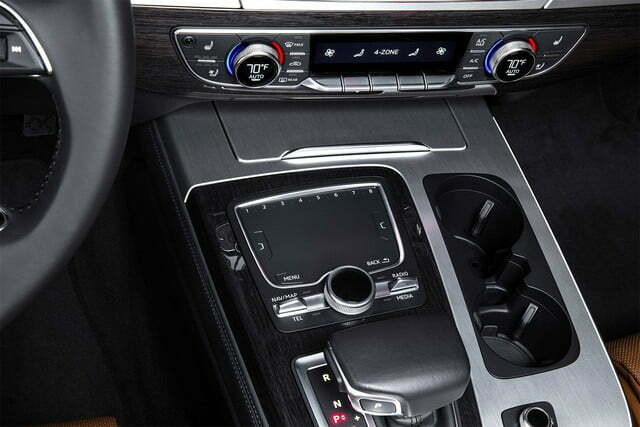 Inside, the Audi packs the fully digital 12.3-inch Audi virtual cockpit digital gauge cluster. 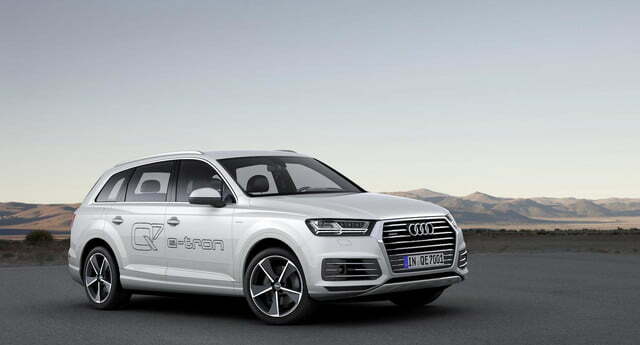 From here, they can retrieve all sorts of vehicle info that includes a specific e-tron power meter. This displays the energy flow, range, and the battery charge level. 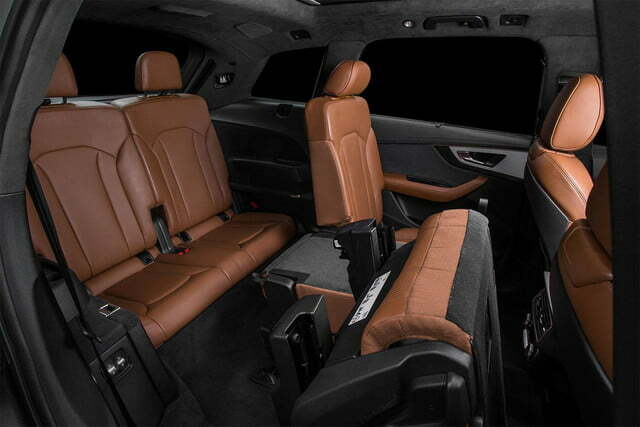 The virtual cockpit, as well as the MMI infotainment platform, is powered by the NVIDIA Tegra 30 graphics chip. 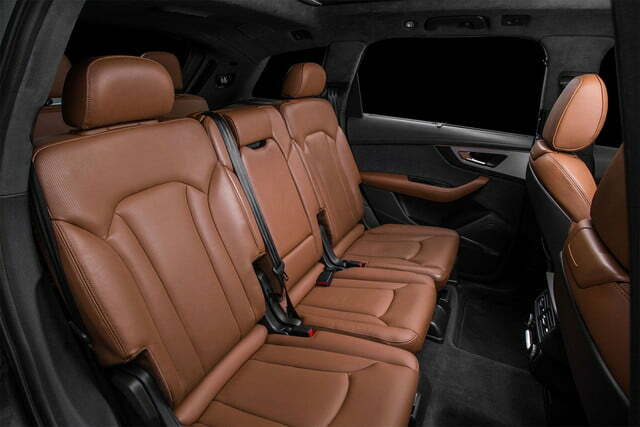 Naturally, the Q7 provides a spacious interior for passengers, 31.4 cubic feet of luggage space, and adorned in quality touchpoints and materials. The car will make its way to the UK market towards the end of the year, but Audi has yet to specify where else the Q7 e-tron is specifically heading.